Spectacular 3 bedroom/3.5 bathroom lakefront home with a newer roof, expanded floor plan, updated kitchen, redesigned master bathroom, and an oversized covered/screened patio overlooking sweeping water views. 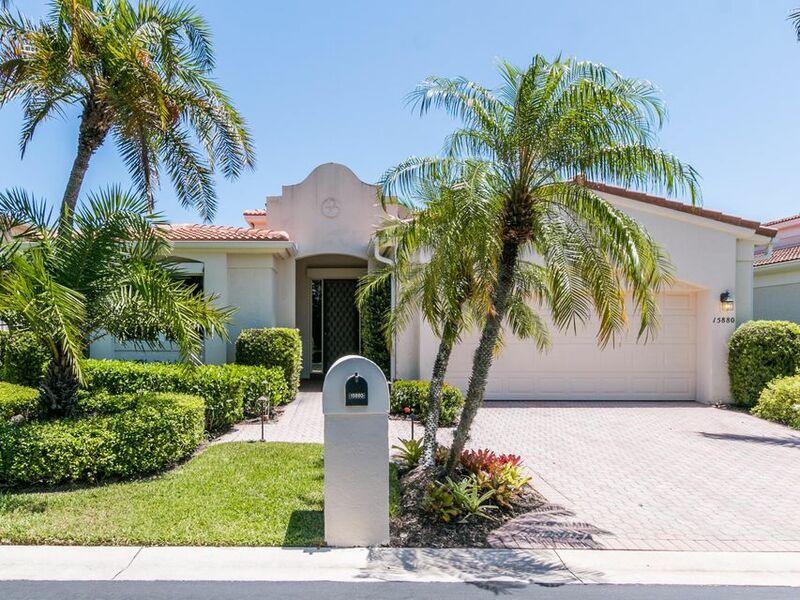 Spacious interior offers an expanded floor plan by way of enclosing the patio area to create a den/family room area, plus formal living & dining areas, powder room, and an open kitchen with granite counters, newer appliances & an adjoining family room. Interior design offers volume and cathedral ceilings, crown molding & accent lighting, wet bar, custom built-ins, 20" porcelain tile flooring in the living areas and plush carpeting in the bedrooms. Master bedroom suite offers a redesigned master bathroom with two walk-in closets, dual sink area & separate shower and bath areas.